As you can see, the only unhealthy ingredients are the chocolate chips and the beer. 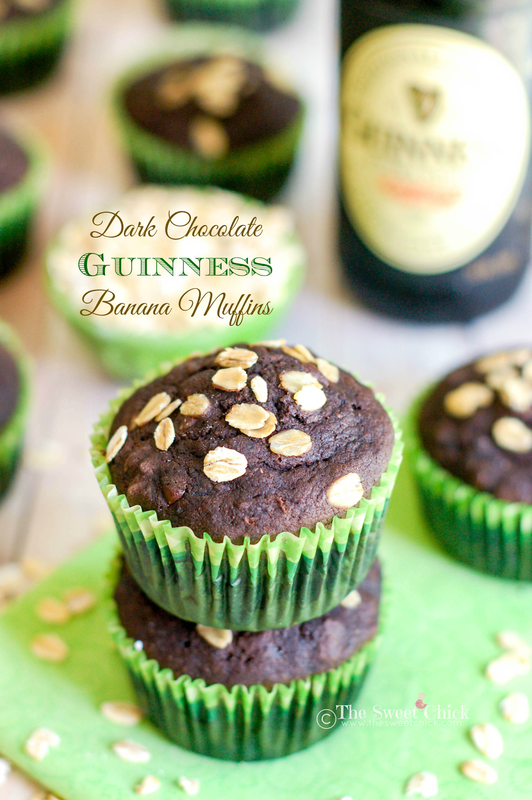 I used Guinness Draught for this recipe, but you can use the Extra Stout if you prefer. 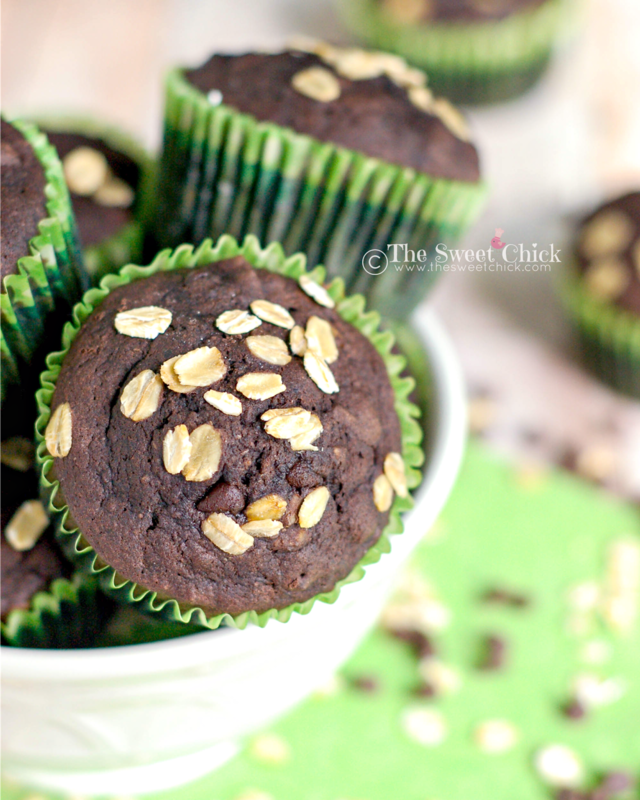 These Dark Chocolate Guinness Muffins came out a bit more crumbly than my usual muffins, but I wasn't tempted to fool around with the ingredients because it was all about the taste and the taste was perfect. The banana flavor does come though first. You don't get much of a Guinness flavor, but it usually just acts as an enhancer to the chocolate flavor. The maple syrup and the mini chocolate chips add just enough sweetness. I didn't want it to be sweet like a cupcake. You can definitely eat these for breakfast or with your coffee. Now, let me tell you about my next concoction. 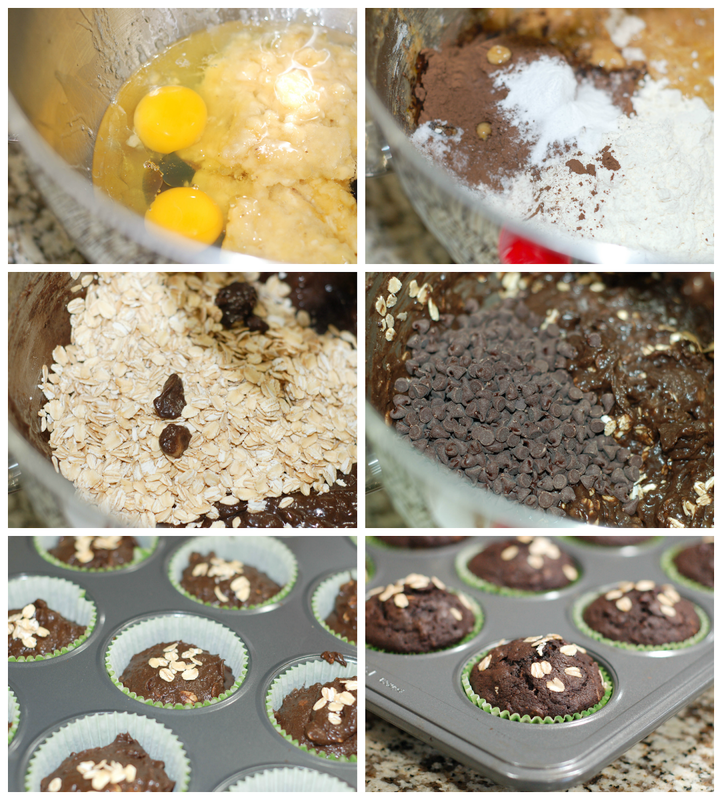 I wanted to make a spread to go with these muffins. 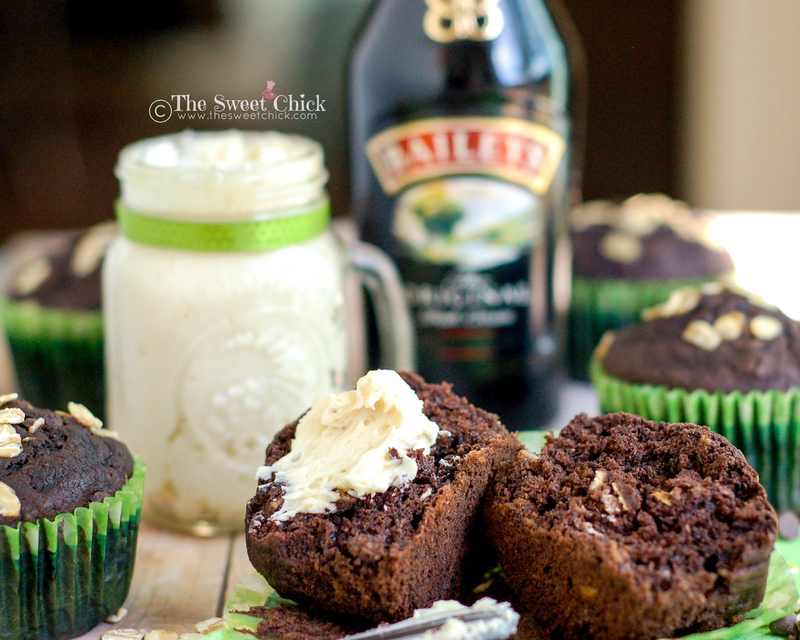 A special spread that included Bailey's Irish Cream. This Baileys Whipped Butter Spread came out so delectable that I really just wanted to eat the entire jar. 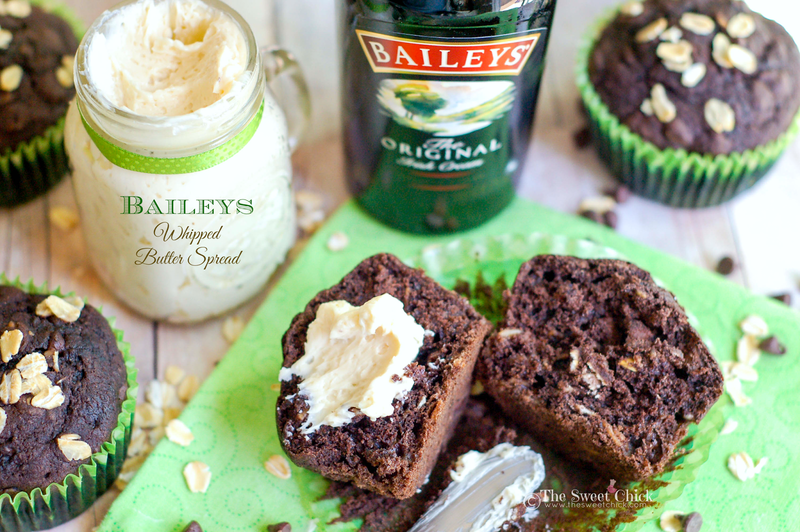 It's so easy to make and paired with the Guinness muffins, it is truly heaven. 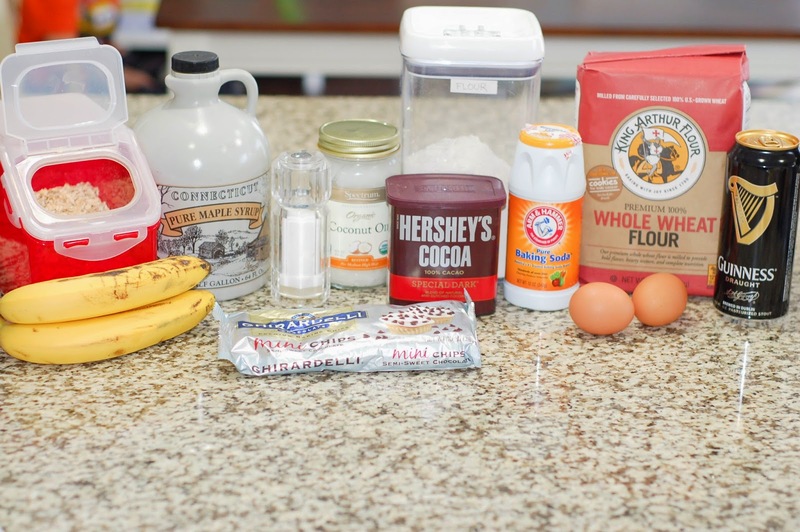 In a stand mixer bowl add maple syrup, oil, eggs, mashed bananas, and beer. Mix on low speed until well blended. Then add the flours, cocoa, baking soda and salt to the mixer bowl and mix until completely incorporated. Next, add the rolled oats and chocolate chips, mixing until they are evenly distributed. 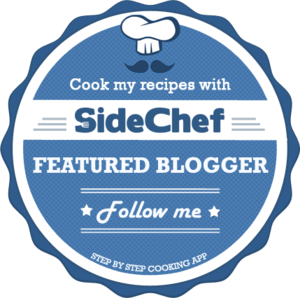 Place butter and powdered sugar in a small bowl, and using a hand mixer, beat until smooth. Add milk and Baileys and continue to mix until the mixture becomes light and fluffy. Spread some over a cooled or warm muffin and enjoy! Store muffins and finished butter in airtight containers at room temperature.